Linda Yearout is a Licensed Clinical Marriage and Family Therapist offering counseling services to individuals, couples, and families of all ages and dynamics. She has worked in the field of mental health since 1993, and served as Children's Director in Community Mental Health, developing treatment programming for severely emotionally disturbed youth. She has strong clinical skills to assist you in building a happier, healthy lifestyle, with improved realtionships and passion for enjoying life's blessings. Following God's calling to provide therapy with an emphasis in Christian faith, she opened Hope's Place in 2008, integrating Christian faith, values, and Biblical resources into the process of therapy for a closer walk with God, and peace and fruitfulness in life. 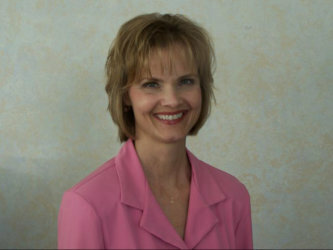 Linda Yearout, LCMFT earned a Masters Degree in Family Therapy from Friends University in 2000. She received Bachelor's Degrees in Psychology and Sociology/Anthropology from Southwestern college in Winfield, Kansas, graduating with Honors. She is a member of Psi Chi Honors Society, and Pi Gamma Mu Honors Society. She has been a member of the American Association of Christian Counselors since 1999. Feeling better is AFFORDABLE and CONVENIENT. Treatment is affordable -- most insurances are accepted: Advantra, BCBS, Coventry, First Health, WPPA, Amerigroup, Sunflower Medicaid, MHNet, Medicaid, Preferred Health (PPK), TriCare, United Heatlh Care, Corvel Work Comp, and many more. Your only out of pocket expense is your co-pay or co-insurance. Pre-authorizations, and insurance billing is all taken care of for you (per policy restrictions.) Private Pay payment plans are also available. Treatment is accessible -- Hope's Place is located in West Wichita, just across the street from Bishop Carroll High School, in walking distance from Genesis, Grene Vision, and West Wichita Minor Emergency, on West Central between Ridge and Tyler. Are you wondering: WHAT IS WRONG WITH ME? WHAT SHOULD I DO? Are you feeling unhappy? Overwhelmed? Lost interest in things you used to enjoy? Can't keep your mind focused? You may be suffering from Depression. Are you and your child in constant disagreement about rules, their behavior, school issues, friends? Do you think your child may have an eating disorder or is on drugs? Structural Family Therapy can assist you and your child to reach a better understanding of one another, and live in harmony. Assessments for self destructive behaviors, as well as individual therapy for your child is available to help them work through their personal issues in a healthy therapeutic relationship. Step Family Issues -- Parenting limits and boundaries, how to "blend"
Please call 316.217.5982 today for your appointment. Or email hopesplaceheals@aol.com for more information.